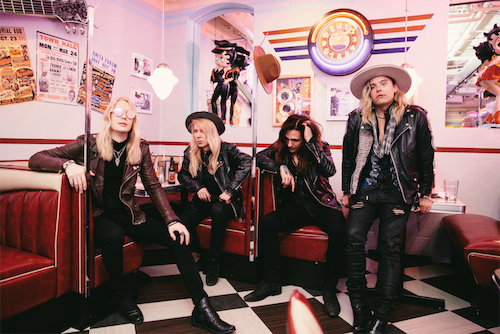 Santa Cruz Releases New Single "Fire Running Through Our Veins"
Hard rock fans, rejoice – SANTA CRUZ has unveiled a lyric video for their new single, "Fire Running Through Our Veins." The track is impacting active rock radio now, so fans who want to hear the Helsinki hellraisers on the airwaves in their home markets are welcome to call their local stations and request the track. The lyric video – edited by Rafael Ortega (Blackfinger, Ayreon, Sicosis) – can be seen at this location - https://youtu.be/ZEXQ-oS7OCQ.